The conditions set forth in this Privacy Statement (hereinafter called « Website Conditions ») are applicable to the website(s) www.tourtempo.eu, www.tourtempo.nl, and other Domains owned by Tour Tempo Europe B.V. (hereinafter called « TTE ») a company registered with the Chamber of Commerce in Middelburg, The Netherlands with reference number 20148547. TTE collects and processes data of Customers and visitors of its internet site for its business, development of solutions, marketing of products and services of interest to you as a Customer and to develop web statistics for its business. The information provided by you may be used to contact you, for example to inform you about changes to the use of the TTE websites or to offer you services potentially of interest (unless you have indicated not to appreciate these services and notices). TTE collects the following data for purpose of order fulfilment and newsgathering: First Name, and Surname, Email Adress, Billing and/or Shipping Addresses, (past) Order Information, Telephone Contactdetails. TTE records these data for a period of seven (7) years in line with Dutch tax regulations. It is not TTE′s intention through this website to collect extraordinary personal data, such as information on personal opinions, religious opinions, personal health situations or other matters of a personal nature. Should extraordinary data collection be requested then TTE will not collect extraordinary data without prior request. We however would like to point out that should You provide extraordinary data without notification to us, You explicitly agree with the provision of such data to TTE. TTE may collect data and analyse data which is connected to the use of this Internet site, such as domain name, the number of hits, which pages have been visited, previous/next sites visited en the duration of a user session. These data can be collected via cookies. Cookies are small text files that contains relevant information for data collection from your server. Our web page server may only requests cookies that relate to the information exchanged only via internet between you and TTE. Cookies that do not contain privacy sensitive information, can be stored on your hard disk in such a way that these cookies may be available during the subsequent visits to the TTE internet sites. We will collect this information only upon your consent as displayed in the next section for the relevant embedded information. This Privacy Statement is not applicable to internet sites of Third Parties that are connected to the TTE internet sites by means of Hyper Links only. Embedded information by third party services can be viewed as follows. You can view and switch your consent for the services provided by third parties on our site on or off. TTE records the Data mentioned in this Privacy Statement for its own internal use. Through acceptance of the Terms and Conditions of Sale in the fulfillment process you agree with the collection of your personal information by TTE. Consent with collection of email addresses for marketing and news is by double opt-in. Your agreement is arranged through check boxes on the relevant webpages. TTE maintains its full rights as to making changes to this Privacy Statement and its contents. It is recommended to You to regularly visit the websites of TTE and acquaint yourself with any changes made to the content of the Privacy Statement. Every change to the Privacy Statement will lead to an increase in the document version number, as detailed below. Should there be any conflict as to the interpretation of the Privacy Statement published on the TTE websites in the English or Dutch language, the Privacy Statement in the Dutch language shall always prevail. 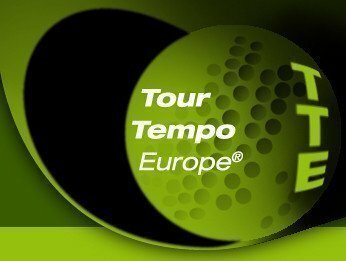 Copyright © 2018 Tour Tempo Europe®. Privacy Statement English version 4.2, 23 May and 21 June, 2018.